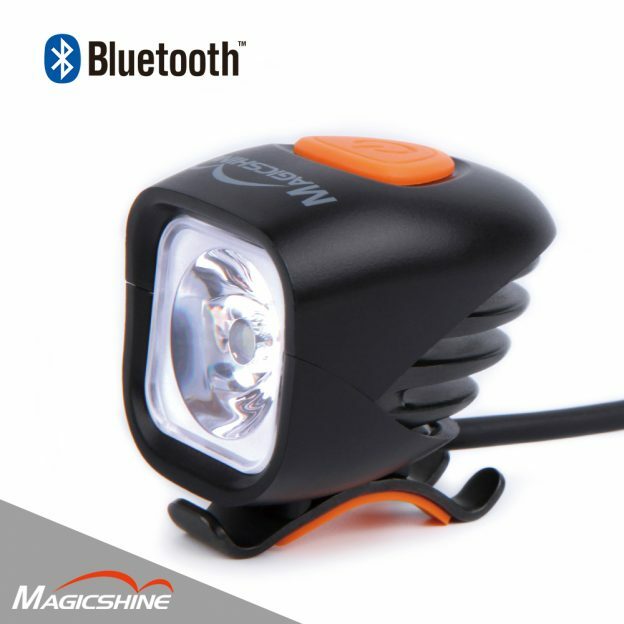 MagicShine might not be the first name you think of when going out to buy a bike light, but maybe it should? The company’s beginnings were humble. In 1999, Minjun Electronic (Magic Shine’s parent company), opened for business in Shenzhen, China with the intent to produce LED light components. As a result of the need for a high quality/low cost light, in 2008 MagicShine was created, bursting onto the scene with the MJ-808 light. In fact, that light produced a startling 2000 lumens at a cost less than ½, of its competitors. Now, almost 10 years later they continue to produce cutting edge lights at approachable prices, like the MagicShine MJ-900B. 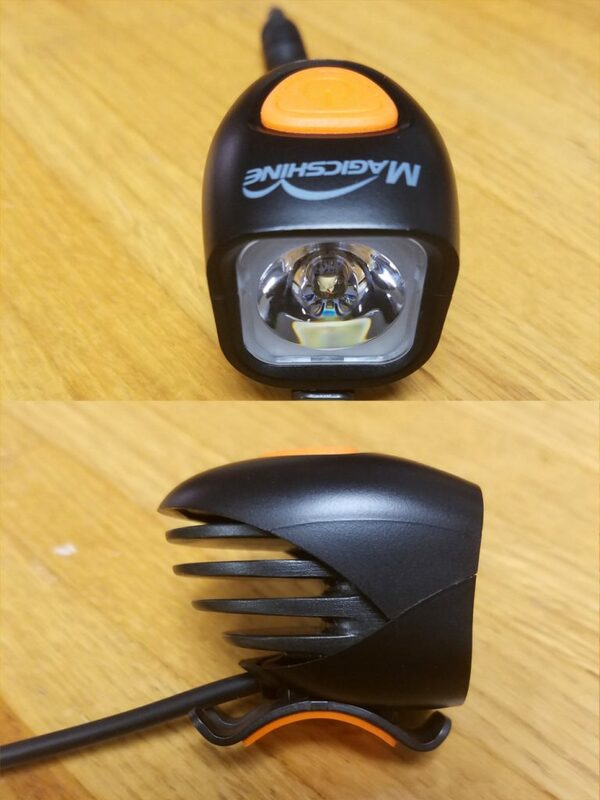 What makes this Magicshine Light so unique? The MJ-900B is a 1000 lumen, single beam, rechargeable LED light. This Smart Light mounts to your handlebar and it recharges with a USB cable. At maximum brightness, the MJ-900B has a runtime of over 2 hours. 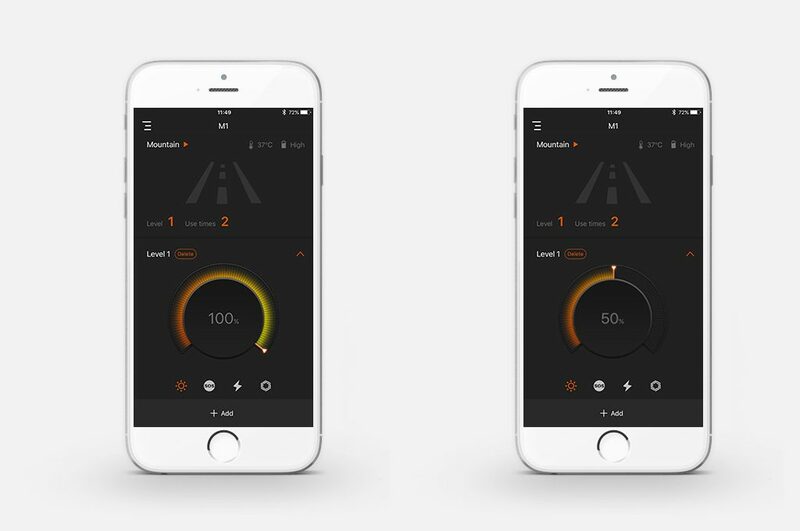 Overall, these stats aren’t unique to the MagicShine, what is exciting is that this light can connect via Bluetooth with an app on your phone to manage light power and mode. On top of that, it retails on MagicShine’s website for $79.99 (well below any of its competitors). The MJ-900B comes in a sturdy box, with a clean, die-cut foam packaging so you shouldn’t expect any damage from shipping. In the box you will find the lamp, lamp strap, battery, battery strap, USB cable, and instructions. The lamp is exquisite in design, and uses what appears to be only super durable materials. The lamp in held in place via a rubber strap that hooks the lamp’s steel baseplate. Whereas the rubber strap isn’t unique, the fact that they use steel rather than plastic for the base is special. Additionally, the Lamp has large cooling fins cast into the back of the light which are both elegant and robust. The battery is well sealed and sports a large, soft, rubber base that should hold well against any type of surface. The 18” battery cord is removable for storage and watertight once installed. 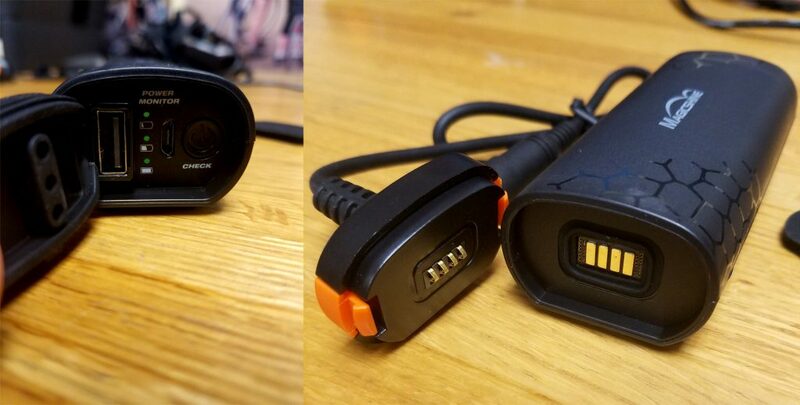 There is a rubber cap on the backside that can be opened to expose the charging port. Next to the charging port is a USB port you can plug into to charge other devices and a power button that displays the batteries current charge. I downloaded the MagicShine App to see just how well it worked. The first thing I noticed was that the App started without asking for access to any of my phone’s files (it’s a major pet peeve of mine when apps need access to unrelated parts of your phone). Once the app opened, you add your email address and receive an activation code through e-mail quickly. With the code in, the app connected to my light automatically. From there, it was super easy to navigate. Changing light settings or functions is as easy as tapping the icon and if you find settings you like, they can be saved for later use. I am excited to see how long the light runs and how quickly the battery takes to recharge. As a point of reference, the light came out of the package with a full charge. Considering that package was most likely sealed months ago, it’s a good indication the batteries are pretty stable. Keep an eye out for the extended review coming up soon. This entry was posted in News and tagged Bike commuting, bike light, Have Fun Biking, head light, head lights, LED bike light, LED bike lights, LED head light, LED rechargable light, Magic Shine, Magic Shine light, MJ light, MJ-900B, Night riding, rechargable light, rechargable lights, riding at night, smart light on October 18, 2017 by John Brown.